Whether all human languages are fundamentally the same or different has been a subject of debate for ages. This problem has deep philosophical implications: If languages are all the same, it implies a fundamental commonality--and thus mutual intelligibility--of human thought.We are now on the verge of solving this problem. Using a twenty-year-old theory proposed by the world's greatest living linguist, Noam Chomsky, researchers have found that the similarities among languages are more profound than the differences. 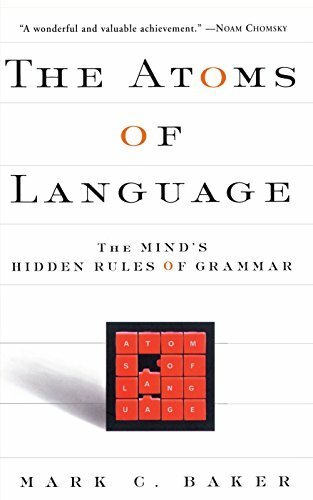 Languages whose grammars seem completely incompatible may in fact be structurally almost identical, except for a difference in one simple rule. The discovery of these rules and how they may vary promises to yield a linguistic equivalent of the Periodic Table of the Elements: a single framework by which we can understand the fundamental structure of all human language. This is a landmark breakthrough both within linguistics, which will herewith finally become a full-fledged science, and in our understanding of the human mind.